Cornered showing at the Action On Film Festival Sept 24th! Cornered, my webseries now short film, will be shown in its entirety at the Action On Film Festival! I highly suggest you come out to watch not just my film, but many others, including Rope-A-Dope 2 and UnLucky Stars! I’m so stoked to be regarded with such fantastic talent, and I can’t wait to meet some of them! While I won’t be there for the Cornered showing, I will be there from the 18th through the 20th, so if you come out look for me! 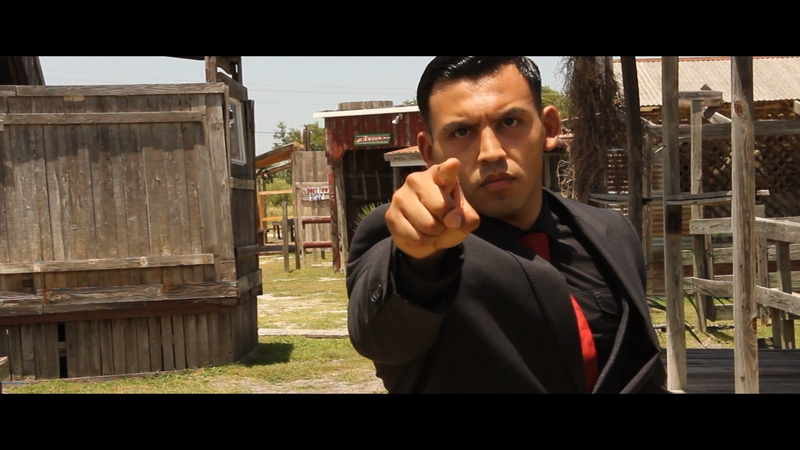 Bobby Hernandez, Richter himself, will be at the screening! The cost is $10.00 to get in to see the block of films that includes Cornered. You can get details on the AOF website here. Hope to see you all there! After I get back, I’ll have major announcements about my next film! Previous Bryan Sloyer returns with an Equilibrium Tribute! Next Cornered and Michael S Moore at the Action On Film Festival 2015!